Dolly is a stainless steel medical ID cuff with a bandana-style paisley pattern set against a crisp white background for a classy bit of country flair. 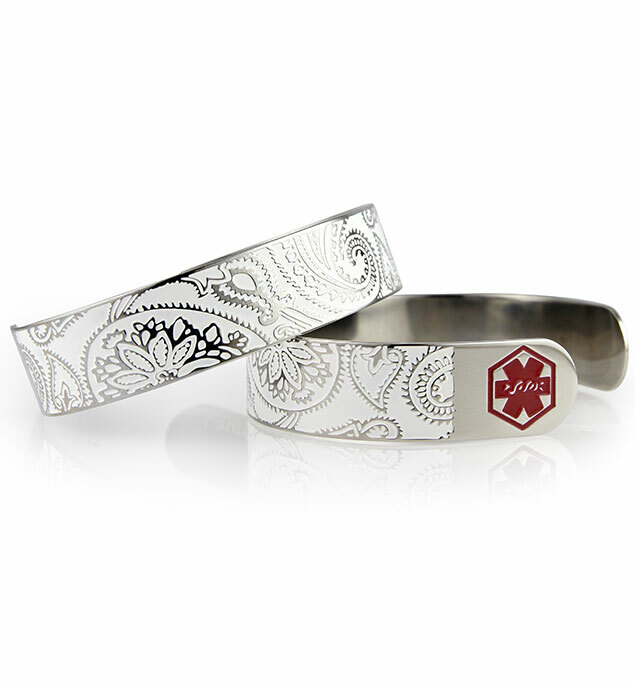 Each end of your Dolly medical alert cuff bears a bold red medical caduceus symbol to alert first responders to your personal information, engraved on the inside. This bracelet is suitable for everyday use including hand washing and bathing.